Cats are incredibly resilient creatures and Lolli was no exception to this! 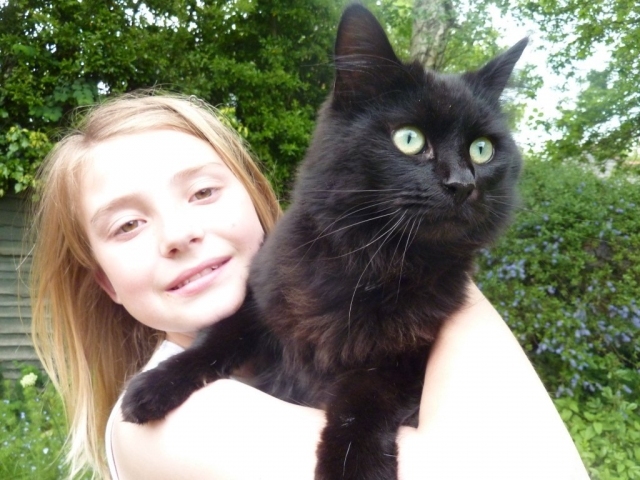 After being missing for a number of days, her wonderful 7 yr. old owner Lola was desperately worried. Lola had placed ‘Missing’ posters throughout her neighbourhood and along with her parents spent many hours combing the area around their home looking for Lolli. It was by chance the Lola discovered Lolli cowering in a bush some 500yds from home. It was clear Lolli had been in a serious accident and had some broken bones! Radiograph showing Lolli’s pelvic fractures. Lolli was referred to the clinic by her primary care clinician as it was clear she was suffering from significant trauma to her pelvis. 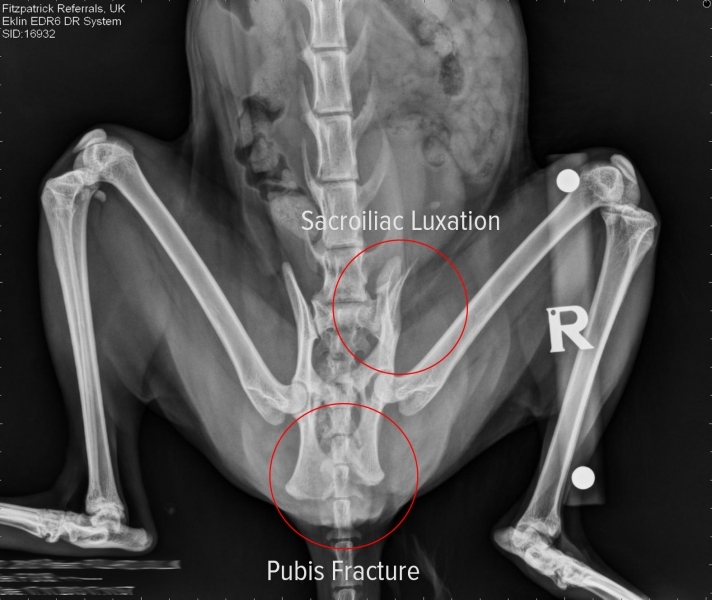 Radiographs of Lolli’s pelvis revealed that one half of her pelvis had been separated from her spinal column; more accurately described as a sacroiliac luxation. 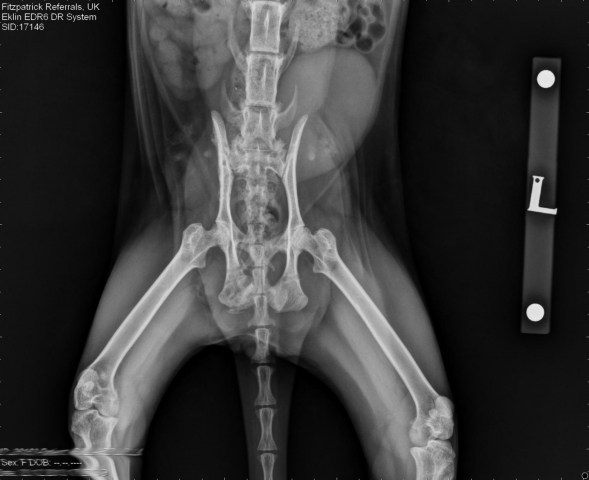 Lolli also had a fracture of the rear of her pelvis. Lolli was brought to surgery and she had an external pelvic fixator placed. This is a technique borrowed from human medicine which allows, rapid and minimally invasive stabilisation of pelvic fractures. By implementing minimally invasive techniques we reduce the degree of surgical trauma which helps expedite recovery. External fixators may appear ungainly but animals deal incredibly well with them in place. After 6 weeks of confinement Lolli returned to the clinic for recheck examination. 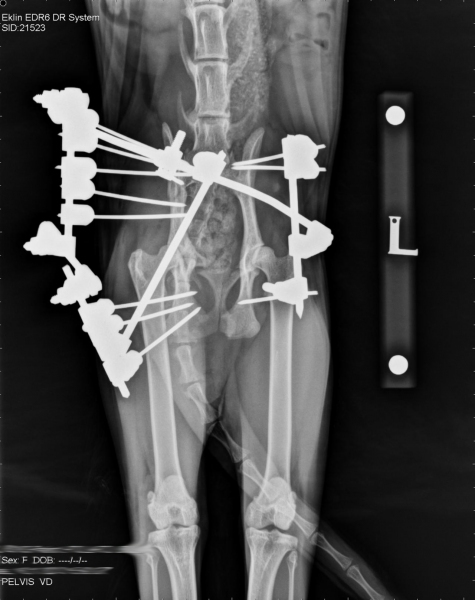 Radiography revealed that the fractures had healed and Lolli’s frame was removed. 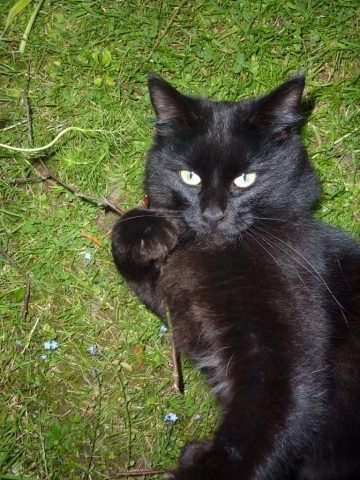 Lolli was soon back to her old mischievous self – climbing trees and most importantly fulfilling the important role of best friend to her owner Lola! Lolli back to her old mischief!